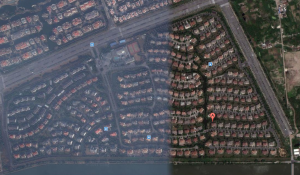 Green Hills (Simplified Chinese: 云间绿大地, PinYin: yún jiān lǜ dà dì) sometimes also called Yunjian Greenlands Villa, is a very popular appartment and villa compound in PuDong for expats and wealthy Chinese living in Shanghai. Green Hills Shanghai & Willow Brooks probably have one of the largest communities of expat kids living in one, well actually two combined compounds. 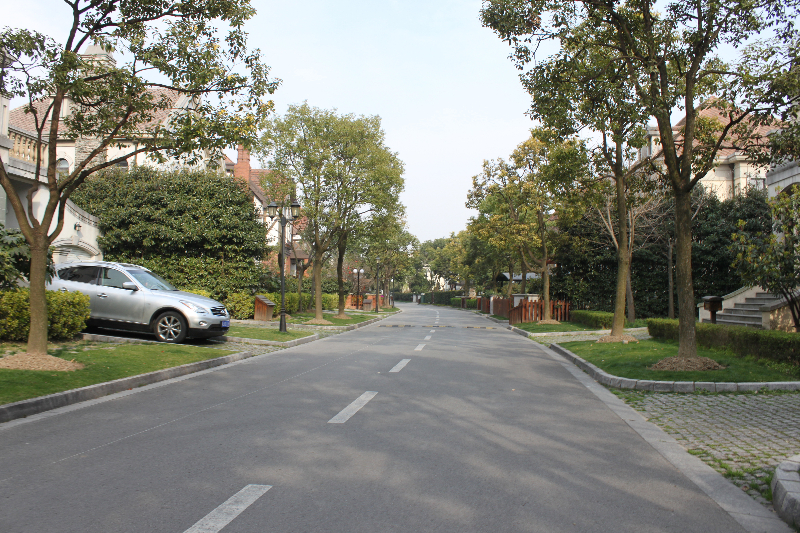 The very peaceful park setting make Green Hills & Willow Brooks extremely popular with expats and Chinese alike. There is a dancing room where a Kungfu teacher, amongst others offer all types of classes. You need to be member to use the pools, sauna and tennis courts or pay a guest fee. 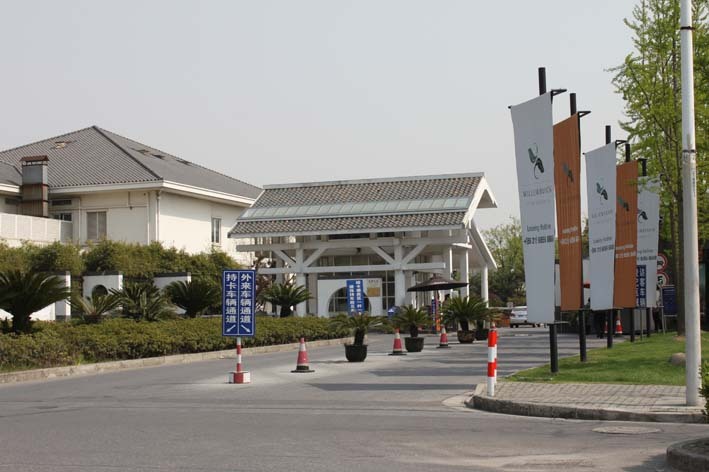 The “community center”-Pudong is located inside the compound offering a wide array of courses for expat mom´s and the kids. [Update Sept. 2014: The Community Center has moved away from Green Hills to BiYun Road] A Montessori Children´s House kindergarden is also on the gounds. The location in Jinqiao, sitting just next to Luo Shan Lu, provides access quick to Lian Yang/Thumb Plaza Area, the Century Park and JinQiao Green City. 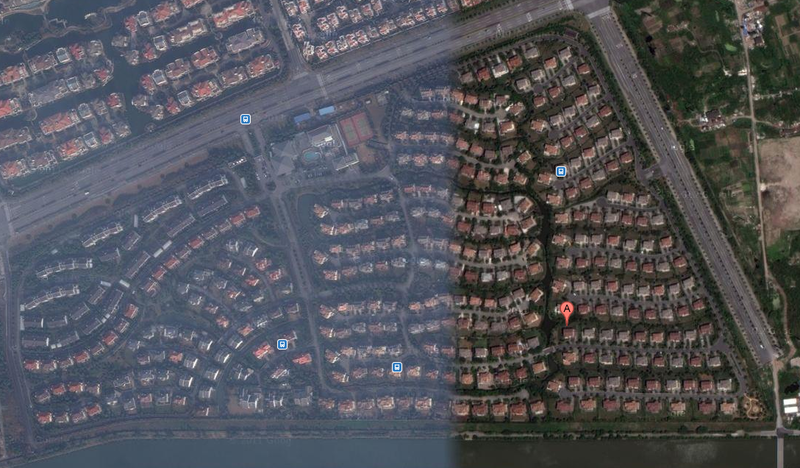 Lujiazhui can be reached in 10-15 mins, The Peoples Square, depending traffic, within 30~60 minutes. The compound offers a bus running to several locations in the city several times per day. The next subway is a bit far though. Eventhough GreenHills is already a little “old” (constructed around 2001) the compound is well maintained and very peaceful and eventhough there are no hills, it is VERY green and in a park-like setting. In September 2014 there are around 50 units available for rent. Have you lived or been to GreenHills in Shanghai ? Leave a comment.